A religious facility is simply not a structure with a single purpose. To solve the question on how to adapt the worship space between times of lower and peak attendance while also utilizing natural airflow strategies, architect Okamoto turned to NanaWall’s SL45. 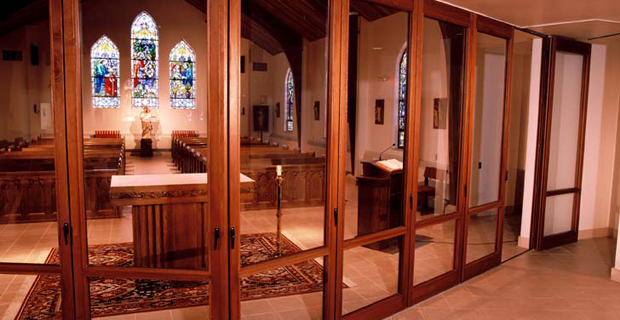 The Pennsylvania parish needed a solution to varying requirements for service and worship. 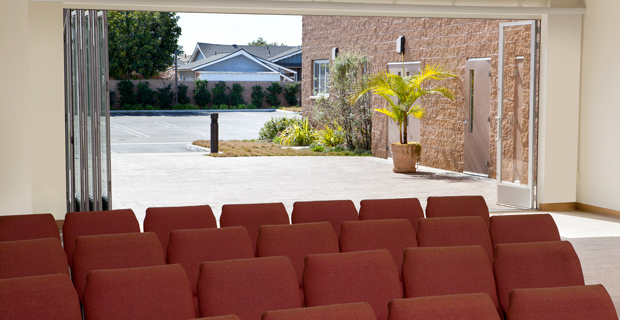 To address the fluctuating attendance size throughout the year, the installation of a NanaWall system provided the answer. 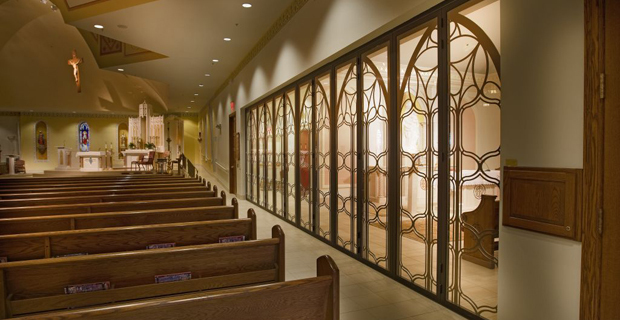 The parish wanted to be able to separate a smaller chapel from the main body of the church for smaller weekday services and was able to achieve their goal with an energy efficient installation of a NanaWall system.